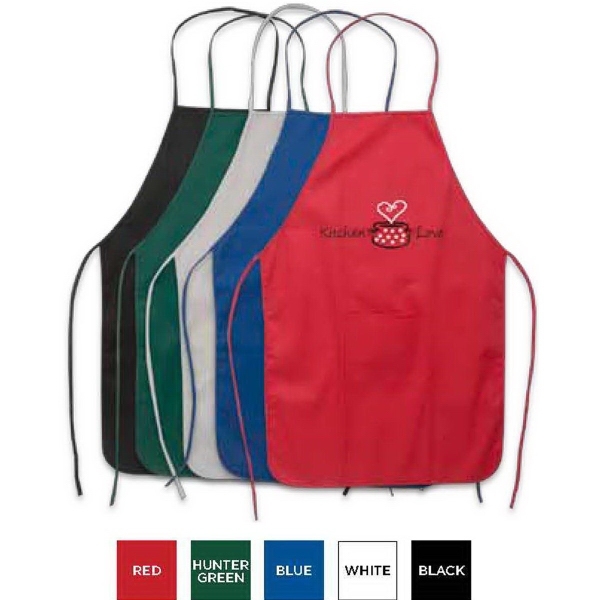 Description Choose the color of the 100% Cotton Canvas Apron that best matches your business or campaign! Made from100% cotton fabric (150 gsm), this culinary school must-have features neck strap, adjustable tie waist straps and 5" H x 6" W front pocket for convenient storing of necessities. Imprint your brand right on the front of this apron for some greatexposure. Ideal for cooking classes, food festivals and corporate BBQ's! Up to 4 assorted colors available at no additional charge. Size 30 " x 20 "